It is a common sight to see a long trail of ants crawling on one corner of your place. Black ants do not bite. Hence, homeowners do not pay heed to the infestation of black ants. If you happen to catch sight of other ants which sting, you rush to catch hold of an ant spray to kill the stinging insects. Many people are still unaware that whether you have stinging ants or non-stinging ants in your house, you should take steps to make your territory free from ants. With the onset of warmer months, ants seek food and water which they do not get from outdoor zone. Therefore, ants find people’s homes appropriate for breeding. Ants get plenty food from your kitchen area and water from sinks and bathroom. No matter which species of ants have sought shelter in your territory, you should know that they prove to be dangerous for your health. Although black ants do not sting, but they feed on the meals you eat; leaving toxic germs on the surface of the foods. Upon having sprayed ant control Perth services of our pest control company, there will be no infestation of ants in your surroundings. You see ants have gathered near the spills and crumbs of foods scattered on the floor. Can you tell which ant specie has occupied your living territory? You cannot tell because you have no idea on the species of ants and their behavior. In the location of Perth, you will get to see field ants, harvester ants, odorous ants, pharaoh ants, moisture ants, Argentine ants, sugar ants, wood ants and pavement ants moving around the indoor and outdoor property. 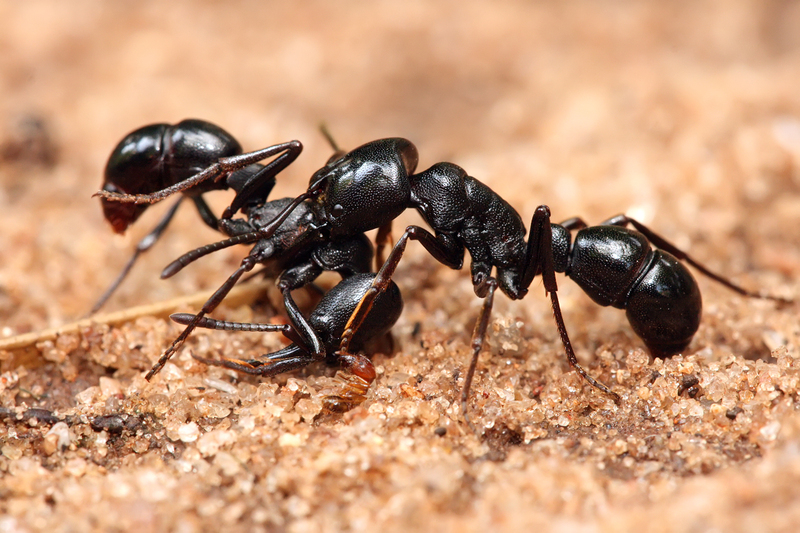 Our pest guys will provide you with in-depth details on each ant specie and its behavior. * When spills and crumbs of foods are left on the floors, you should clean up the food particles at once. * Keep sugary liquid items in containers made from plastic. * If there is any sticky residue falling down from food containers, wipe it immediately. * Your kitchen countertops and other eating zones should have no food particles. * Do not store ripe fruits in the fruit bowls. * Keep sinks and other areas where you store water should be dry at all times. Unless you take up a professional help, you will not get shot of ants easily. The extermination of ants needs a comprehensive process which comprises of inspection through out your house and effective implementation of ant repellents, ant pesticides and the most recommended ant treatment Perth solutions. Our ant treatment plans have effectual strategic solutions which include dust treatment, surface sprays, bait treatment and gel treatment. The ant treatment plans will be applied on the places where ants target on and off. Upon using our ant treatments, ants will never be seen moving around your space.